Leading bespoke luxury hospitality brand, Pavilions Hotels & Resorts, has unveiled The Ginto Residences in Niseko, Japan as the company introduces an elite series of stunning hotel and residential projects in aspirational travel destinations across Asia and Europe. 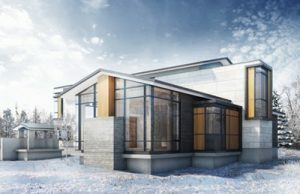 The first phase of the global project is a land release on which an exquisite collection of luxury villas will be built in Niseko, the exclusive mountain destination on the Japanese island of Hokkaido. 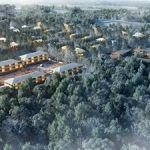 Nestled in pinewood forests at Ginto Hirafu, with access to premium ski lifts and white powder slopes, The Ginto Residences is a US$100 million development comprising a total of 31 private villas, with no single plot measuring less than 1,000 sqm. The project breaks ground in October 2017 with a completion date in 2019. The Pavilions Phuket and The Pavilions Himalayas were the company’s first two fully branded developments following the acquisition and renovation of The Pavilions Bali in 2001. Pavilions Hotels & Resorts was formed after subsequent acquisitions in Amsterdam, Madrid, Rome, Lisbon and Niseko. The Ginto Residences are already proving the Hong Kong-based developer’s point with 50% of phase one plots already sold to buyers in Hong Kong and Singapore at prices between USD800-USD1,500 per square metre. Residents will have access to an all-year round destination blessed with some of the most pristine natural beauty in the world and offering a host of outdoor activities on their doorstep. World-class skiing in the winter is complemented by hiking, mountain biking, river rafting and golf in the spring and summer months. The Pavilions Niseko is being developed right next to The Ginto Residences and is scheduled to open in 2019. 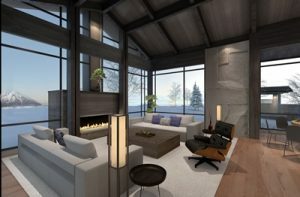 The resort features 40 suites and will offer a spa, indoor/outdoor onsen, gym, yoga studio, and a fine dining restaurant. Owners of the residences will enjoy privileged access to all the hotel’s luxurious facilities, and will be well placed to take advantage of the amenities available at Ginto Village, the destination’s boutique shopping and entertainment centre. Sapporo New Chitose International Airport – the main gateway to Niseko – provides direct flights from Hong Kong, Singapore, Shanghai, Beijing, Taipei, Seoul and Bangkok. Japan’s iconic Shinkansen bullet train network was also recently extended to Hokkaido, connecting the northern island to Tokyo via an undersea tunnel. This line will eventually be extended all the way to Sapporo, providing owners at The Ginto Residences with a non-stop, high-speed rail link to the Japanese capital. Japan’s tourism industry hit an all time high with 24 million international arrivals in 2016, and it is set to rise to 40 million arrivals by 2020 – the year Tokyo hosts the Summer Olympics – with 60 million visitors expected by 2030, according to Japan government projections. Subsequent phases in the residential roll out will involve The Pavilions Phuket Residences and a luxury development in Lisbon, Portugal. The Pavilions Lisbon Hotel will be launched in the first quarter of 2018 and involve the renovation and restoration of two 18th century buildings, due to open in 2020. The property will join the company’s existing operating hotel inventory of six boutique hotels and resorts in Bali, Phuket, Nepal Himalayas, Amsterdam, Madrid and Rome. All the new branded residential projects will benefit from Pavilions Hotels & Resorts’ acclaimed hospitality experience, known for its inclusive approach to art, culture, romance and adventure, enhanced by privacy, luxury and mindful service.